The picture shows the victorious Free Cornish Army taking control of Launceston police station. Launceston was the first town to fall to the FCA. Truro followed an hour later. 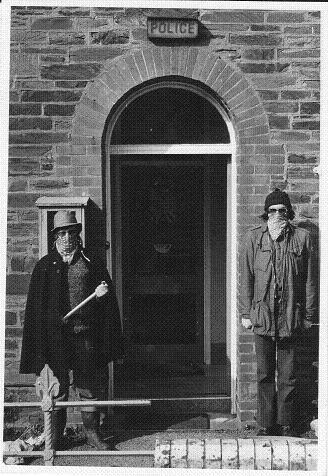 I'm the one on the left and, as you can see, my uniform owed as much to Batman as it did to Che Guevara. Ah, the seventies when even the freedom fighters wore capes.